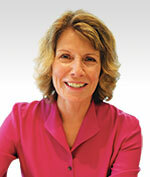 Lois A. Lanning, PhD, is an independent education consultant. She presents and works with districts at the international, national, and state levels in the areas of literacy and Concept- Based Curriculum design. This book is a natural extension of her three previous best-selling books in the Corwin Press Publisher’s Concept-Based collection, including Designing a Concept-Based Curriculum for English Language Arts (2013), by Lois A. Lanning; Concept-Based Curriculum and Instruction for the Thinking Classroom (2nd ed., 2017), by H. Lynn Erickson, Lois A. Lanning, and Rachel French; and Transitioning to Concept-Based Curriculum and Instruction (2014), by H. Lynn Erickson and Lois A. Lanning. In addition, Lois is the author of the bestselling book, Four Powerful Strategies for Struggling Readers, Grades 3-8: Small Group Instruction That Improves Comprehension, a joint publication between Corwin Press and the International Reading Association (2009), and a chapter in The Best of Corwin: Differentiated Instruction in Literacy, Math, and Science (2011), Leslie Laud, Editor. Lois was a classroom teacher, K-12 reading consultant, special education teacher, elementary school principal, district curriculum director, adjunct professor, and finally, an assistant superintendent of schools for the last 12 years of her career in public schools. Lois is the recipient of numerous educational awards and recognitions. Her hobbies include reading, biking, hiking, and traveling. Lois currently lives in Massachusetts with her husband. She has two children and two grandsons, whom she absolutely adores.